The stress of buying the perfect gift for someone you love, a close friend, or even Kris Kringle in the workplace can be hard to handle. I’m with the 26% of people who say that Christmas shopping is frustrating! The crowds, the queues, and even just trying to find parking does my head in. One study has shown that an hour session of Christmas shopping increases heart rate by 33%, with 88% of people reporting experiencing tachycardia, an irregular heartbeat that is accompanied by dizziness, lightheadedness, and fluttering in your chest. Another study found that 60% of people pretty much just lose interest in buying the perfect gift for someone pretty early on. The Communications Executive at eBay, Julia Hutton-Potts said “thirty-two minutes into a Christmas shopping trip, we hit the ‘wall of disenchantment,’ and that’s the moment you stop being thoughtful about the gifts that you’re buying. You stop looking for the perfect gift and you settle for any gift you can find”. 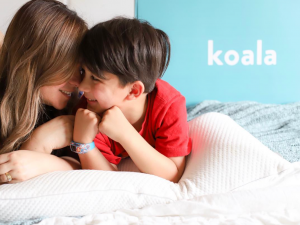 The Koala Pillow is the perfect gift to buy even your most picky relative because of many reasons! Firstly, it’s flippable so one side is firm, and the other is soft. So they’ll be able to find the side that suits their head in the same pillow. They’ll never need to look for the cold side of the pillow because the entire pillow is made of CertiPUR-US® certified, 100% polyurethane gel foam that has cooling gel infused throughout. The cooling gel infusion creates a cooler, softer memory foam that maintains it’s form for better support than traditional memory foams. You can read more about the build of the pillow here. 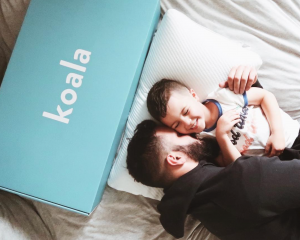 Every Koala Pillow comes in a beautiful rectangular box with the famous Koala blue logo, a handy to carry, and cute messaging inside. When you open the box, a light activated lullaby will play to help soothe you to sleep. All of the Koala products come with a 120 night trial. This means that if it’s not right for you/them within 120 nights, just email support@koala.com, we’ll cover the return, and give a full refund. Find out more about the 120 night trial here. If, God forbid, you forget to buy someone a gift, we’ve got you sorted. If you order before 2pm you can get same day 4 hour delivery. If not, you can just schedule in what 4 hour period you want it delivered, and our trusted couriers can get it there on time! Find out your delivery options here. The Koala Pillow comes with 5 year full warranty, a luxurious TENCEL Lyocell cover, and is at an affordable $150 price point. If you’re looking at buying multiple products, or just want to space out your payments of all the Christmas gifts, Koala also offers Zippay, Zipmoney, and Afterpay for repayment options. With Zippay you can pay as little as $10 a week with 0% interest! If you’d like to purchase a Koala Pillow, just click here. Bernice Averion is the Growth Marketer for Australia at Koala. 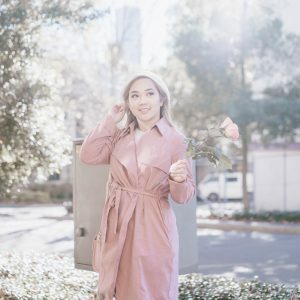 Here since March 2017, she manages the introduction of new digital media opportunities, the affiliate program, referral program, influencer program, and content strategy.